The fear that growing oil supplies throughout the world are outpacing a slowdown in energy demand continue to put downside pressure on crude prices. Yesterday, those concerns were accentuated by a sharp sell off in stocks coupled with a stronger dollar. The result was a steep tumble for WTI prices, which lost a hefty $3.34 to finish at $84.34 per barrel. Has the table turned for gold as the Fed has second thoughts about raising rates? Although it is too early to know that, the precious metal has enjoyed a nice rebound over the last week, yesterday gaining $2.5 to $1,223.6. The US released its weekly crude oil inventories report which indicated a larger than forecast build of 5 million barrels vs estimates for a 2.1 million barrel increase. The discrepancy ignited a renewed slump in WTI prices, which lost $0.73 to $87.72. A sharp rally in shares after the FOMC minutes did little to reverse that plunge towards the close. The realisation that a rise in interest rates might not be on the cards just yet came as a breath of fresh air for gold which rallied $12.1 to $1,221.5. The move was undoubtedly helped by a weaker dollar and ongoing reports of heightened physical demand from Asia. The energy complex was definitely not helped by the IMF's 2015 growth report which suggested that there is a risk of financial markets overheating and that equity markets are 'frothy'. The comments were interpreted as a sign that oil demand could slump, inspiring a significant drop in WTI crude futures as the market lost $2.04 to $88.43 per barrel. 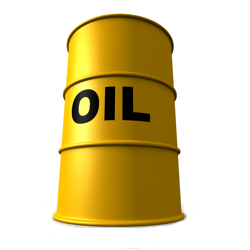 The woes look set to continue this early morning, as oil prices are still on the back foot. The gold market managed to extend its rebound yesterday, gaining $1.2 to $1,208.4. The move came following a pickup in physical demand during the Indian festival season and as Chinese buyers returned after a long weekend break. The gloomy outlook from the IMF also offered some support as participants considered hoarding extra gold for a rainy day. West Texas Intermediate moved back above the $90 mark on expectations of resilient oil demand in the US, the world's biggest consumer. The energy rebounded by $0.70 to $90.46, however, with a trade war underway among OPEC members, the possibility of further price weakness should definitely be taken into consideration. It appears that a drop below the $1,200 level attracted plenty of buyers into the gold market who pushed the metal $15.4 higher to $1,206.8. A weaker US dollar led the recovery but the festival season in India undoubtedly added extra support. Aramco, Saudi Arabia's state run oil producer, reduced its crude oil export prices last week, signalling its readiness for a price war with other OPEC members. The move added additional downside pressure to oil prices, which were already being driven lower by a stronger US dollar and news of plentiful supplies, and so WTI plunged by $1.63 to $89.75 per barrel. As the news came in that US payrolls had beaten forecasts, it felt like a knockout blow for gold which nosedived by $21.8 to $1,191.6. The precious metal continued to head south overnight and is potentially on course to challenge the lows of 28 June 2013 just above the $1,180 mark.